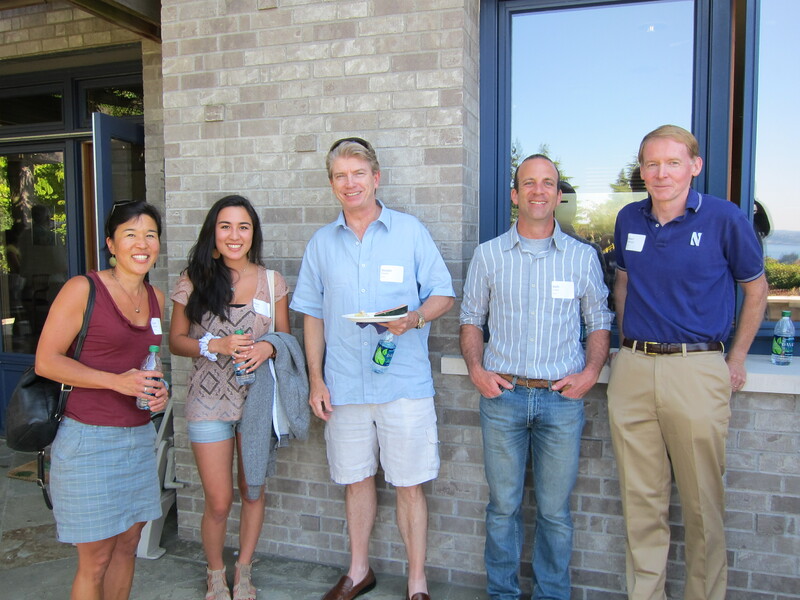 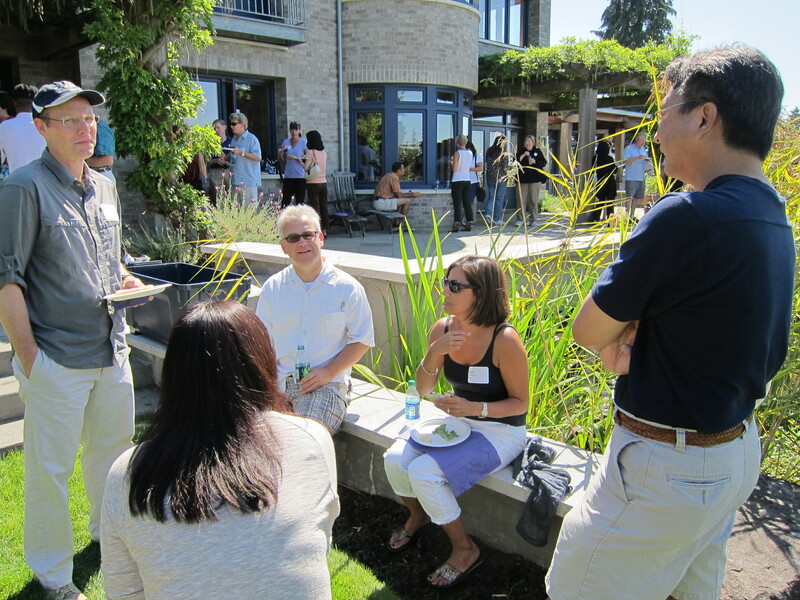 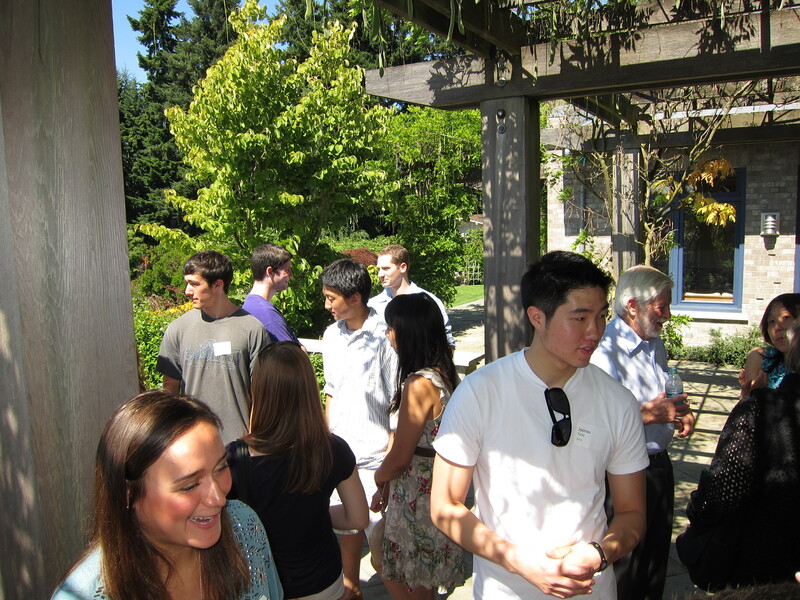 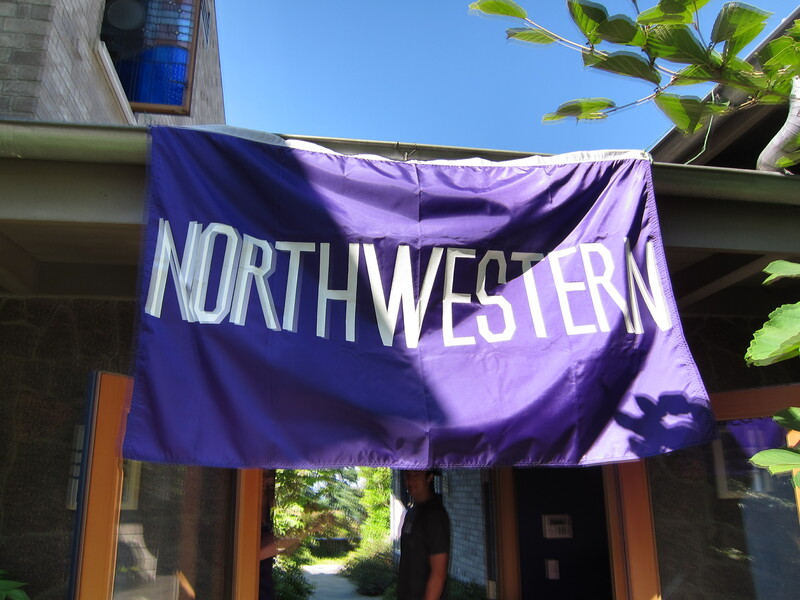 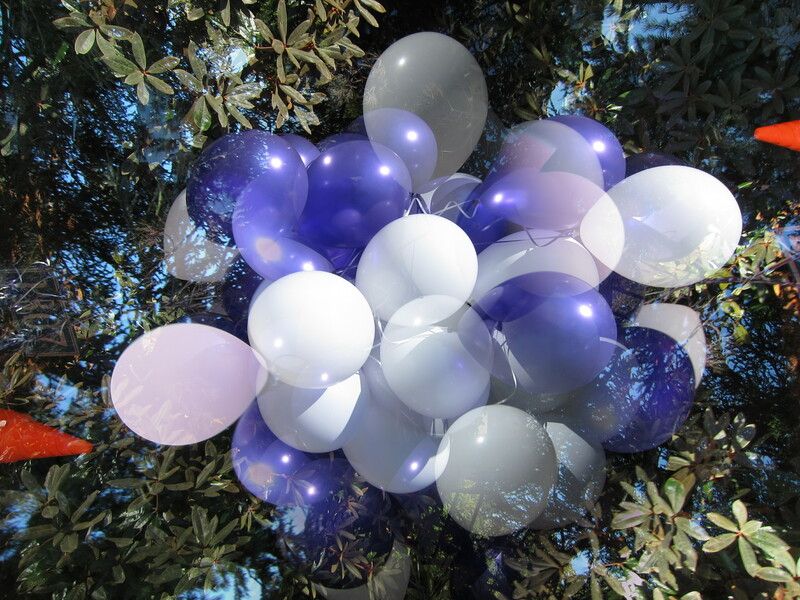 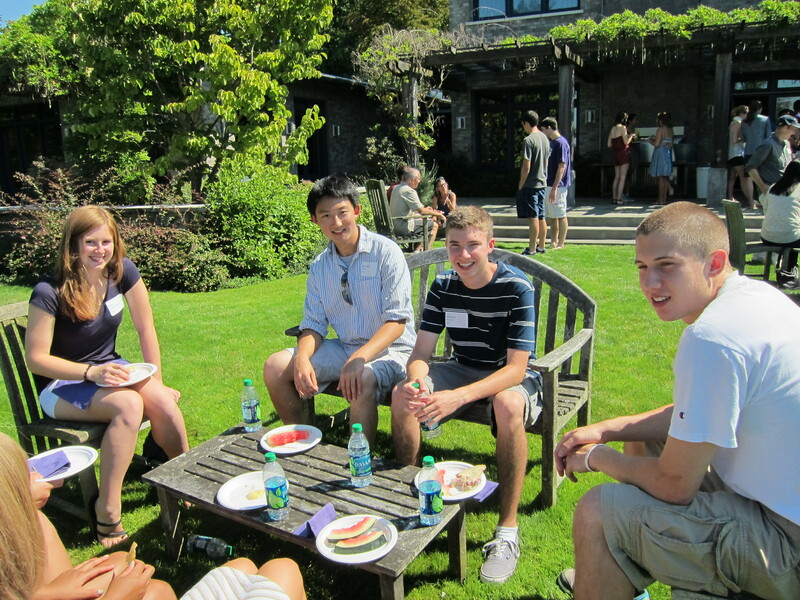 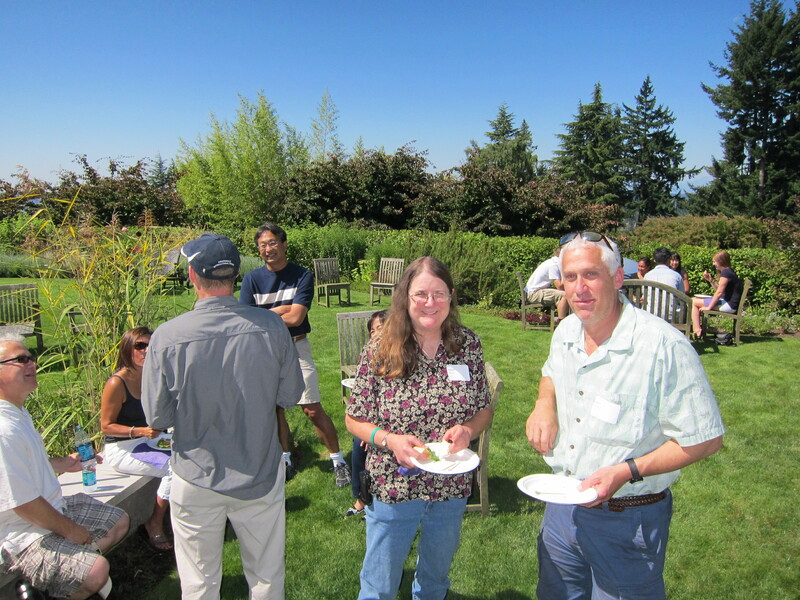 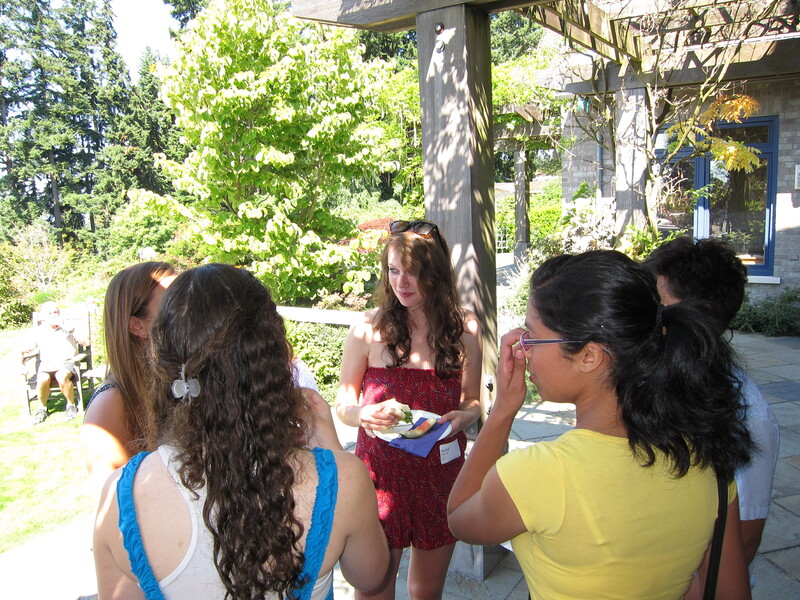 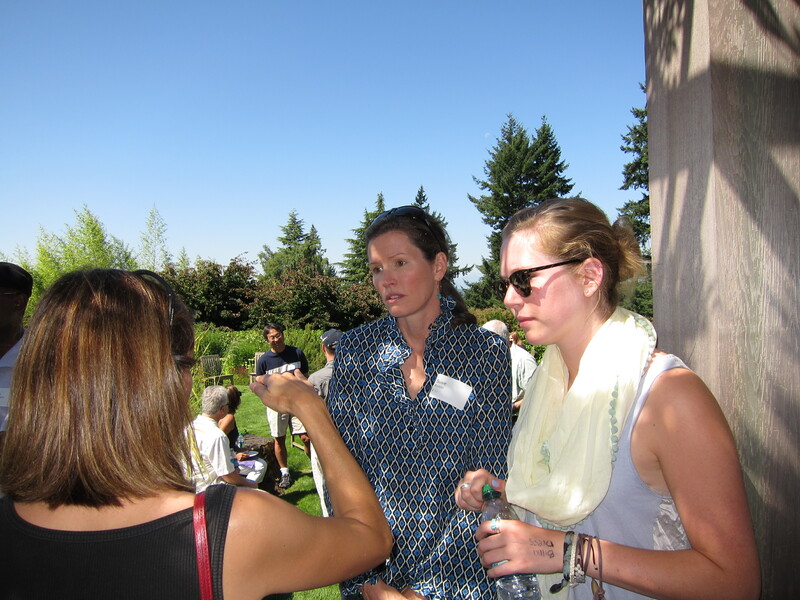 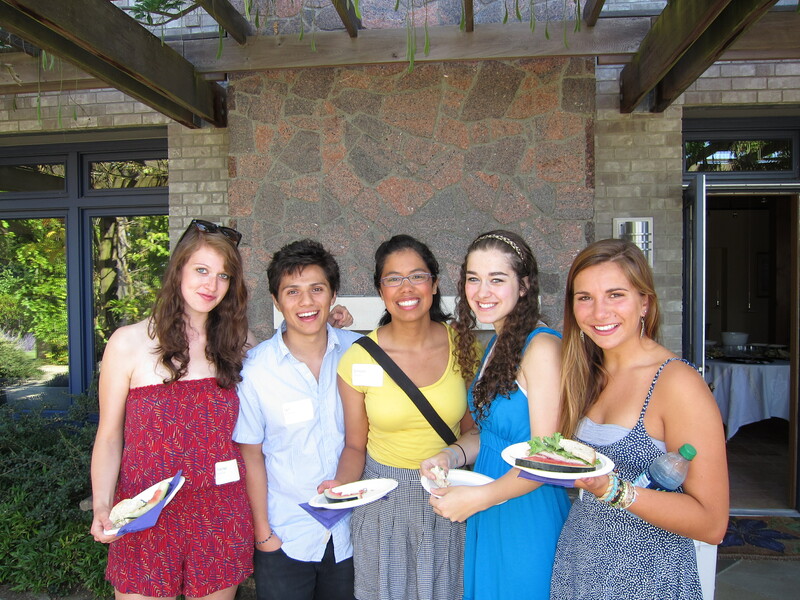 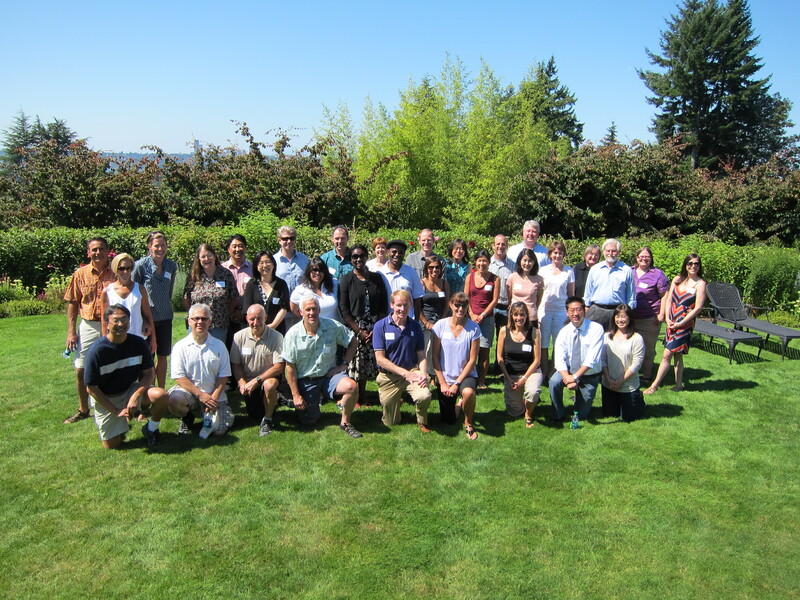 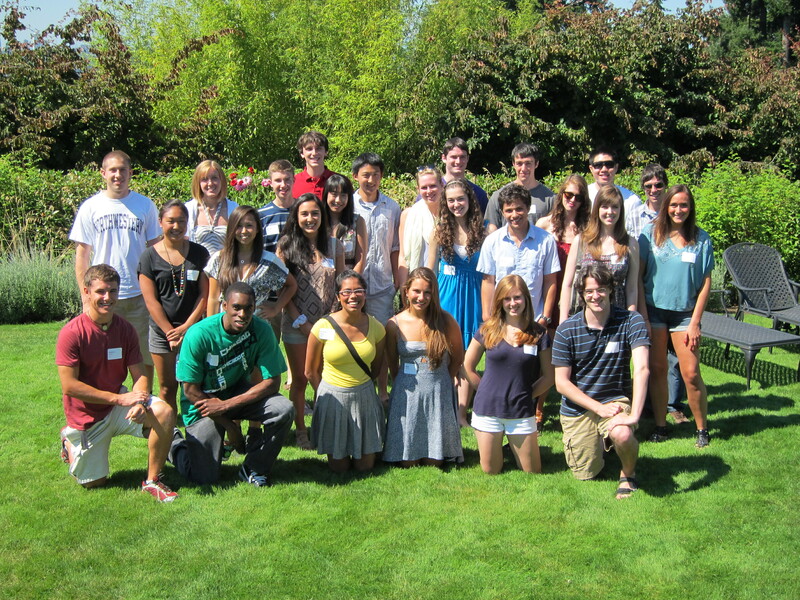 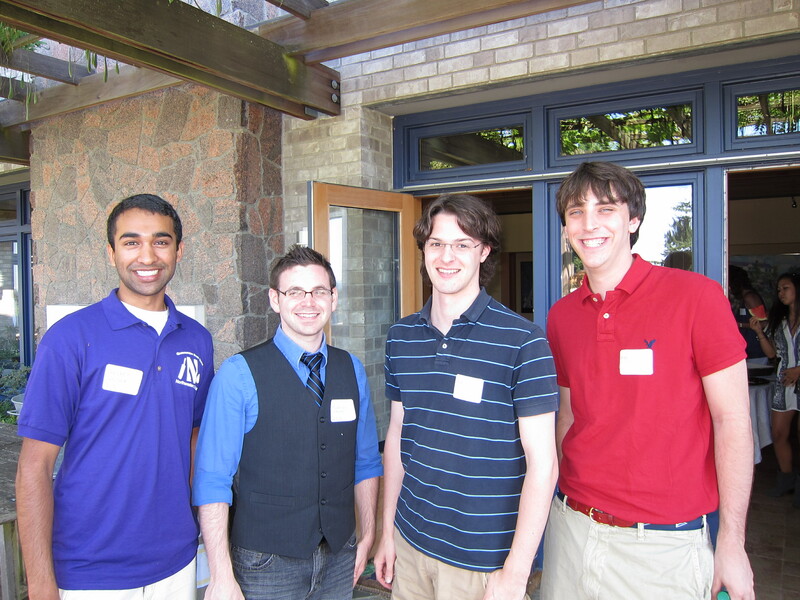 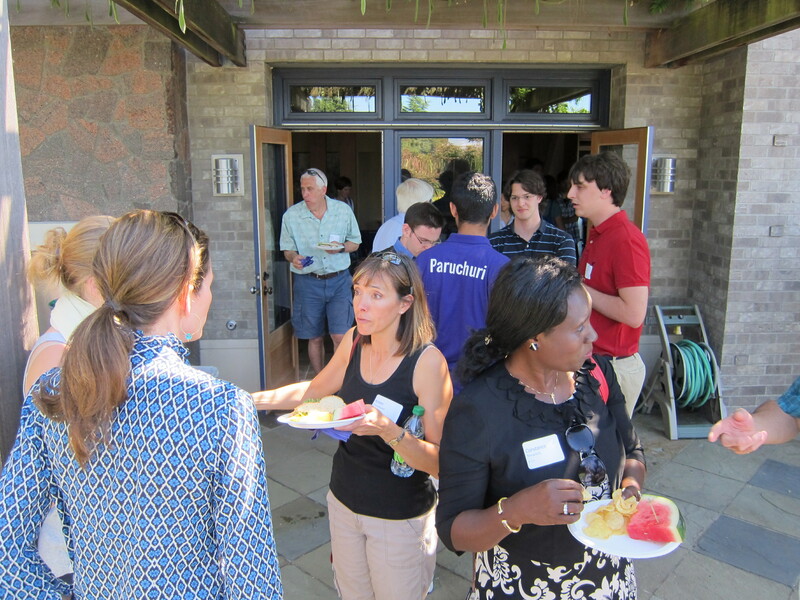 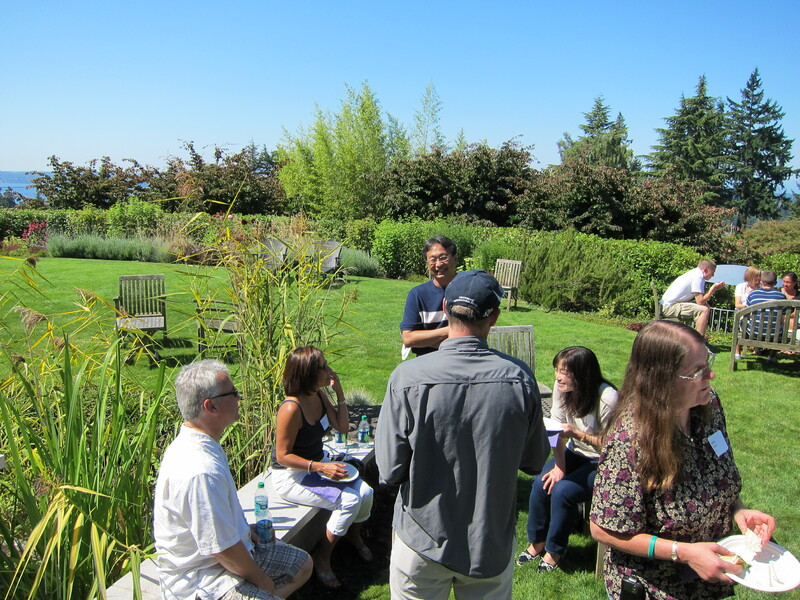 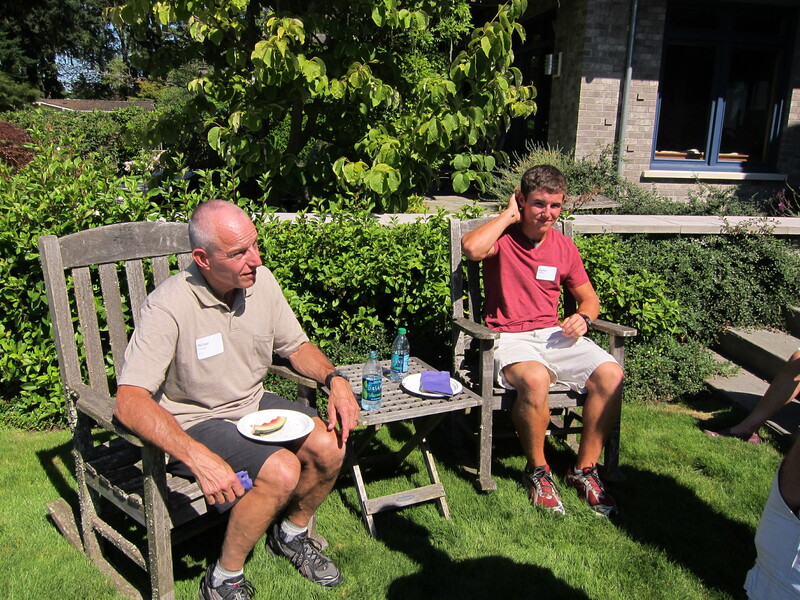 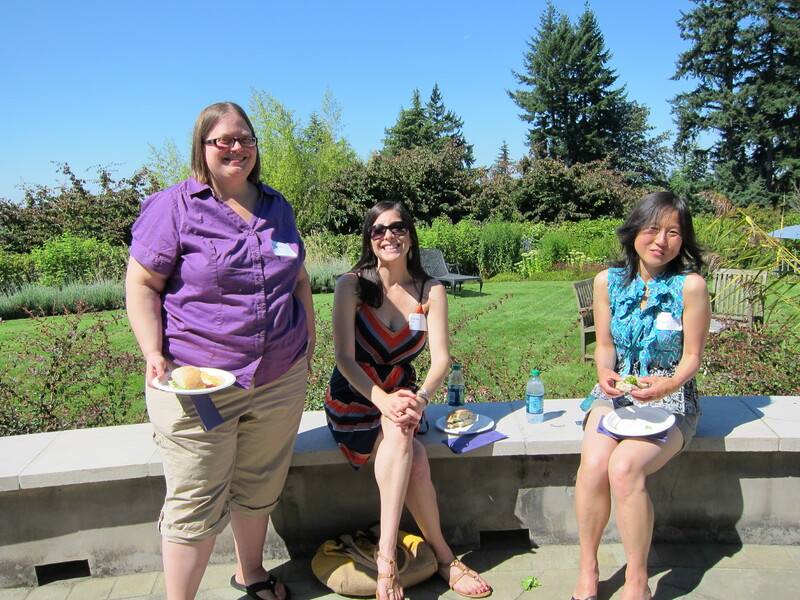 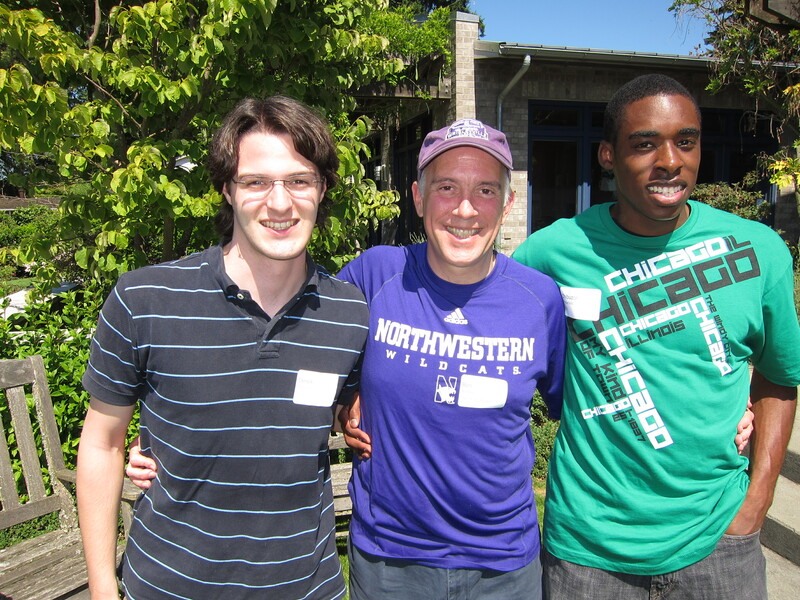 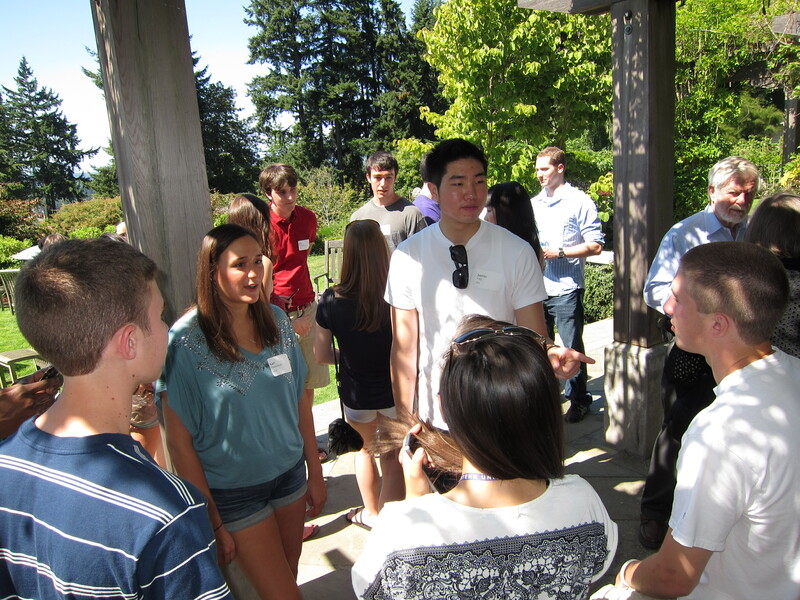 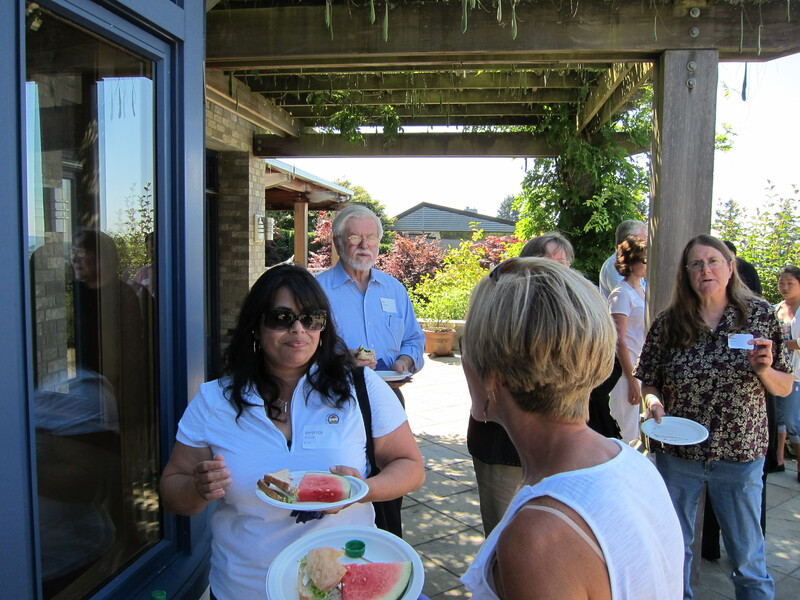 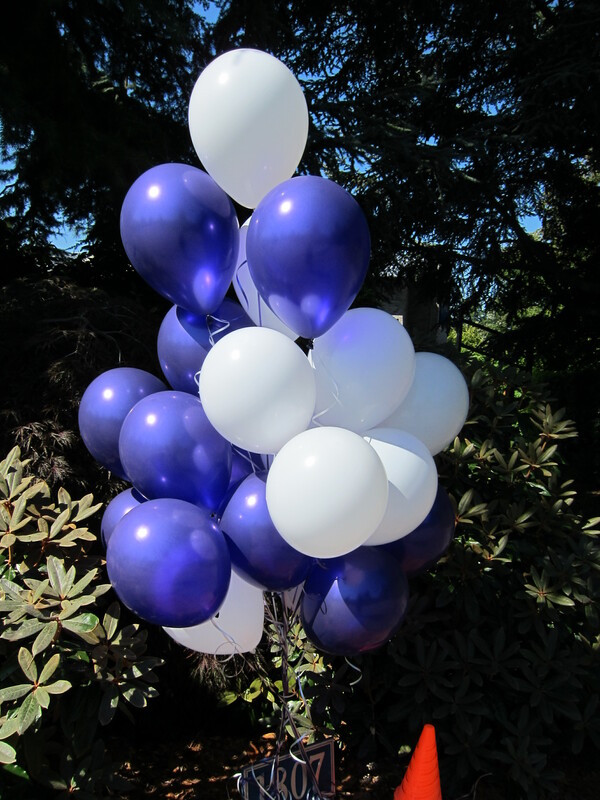 We had 66 people over for our 10th annual end-of-summer party to welcome the entering Northwestern University Class of 2015 from Washington State: 18 freshmen, 4 sophomores, 4 seniors, 30 parents, 7 alumni (1982, 1985, 1986, 1995, 2001, and 2011), and 6 other guests. 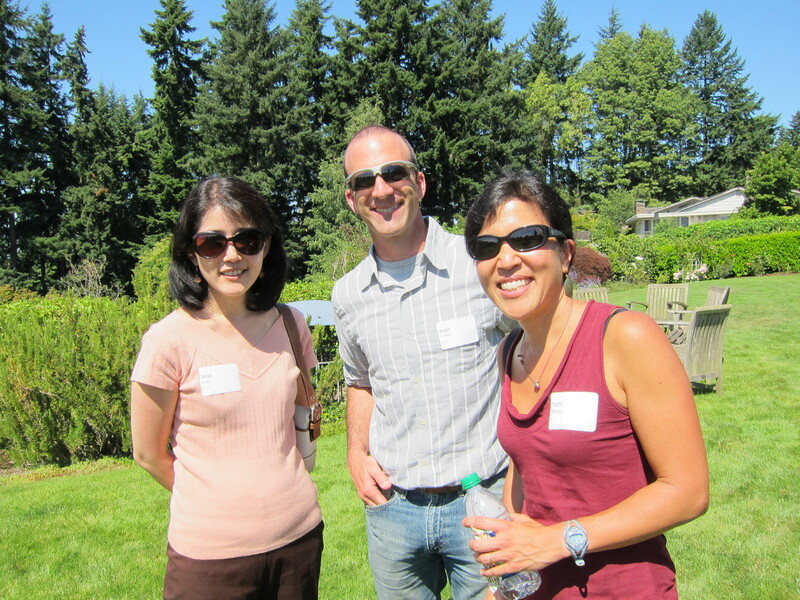 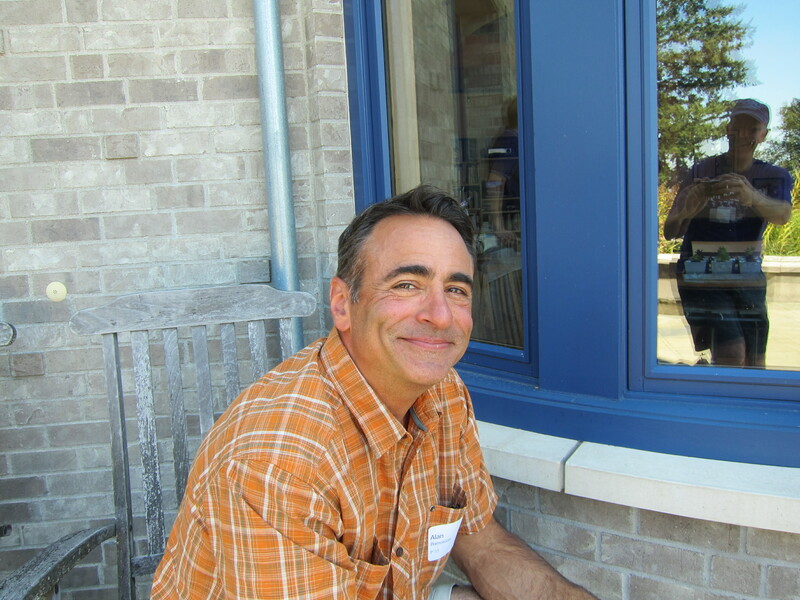 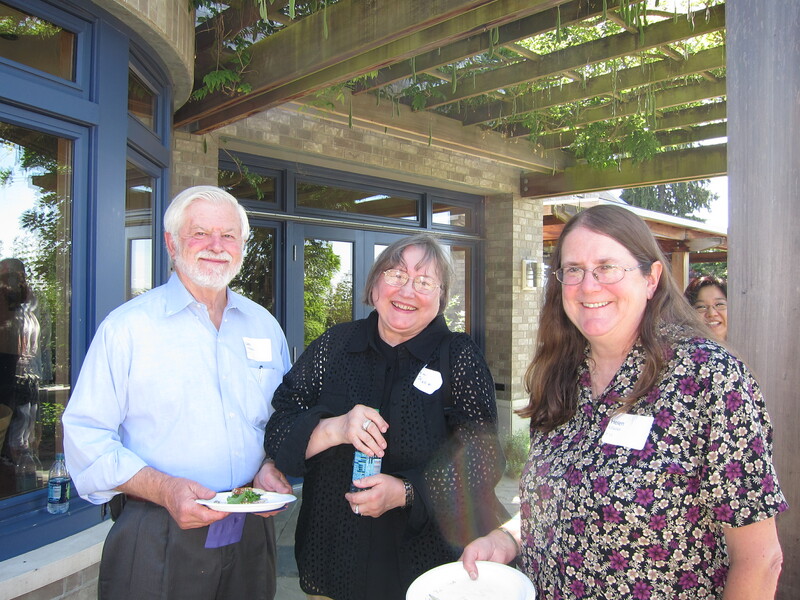 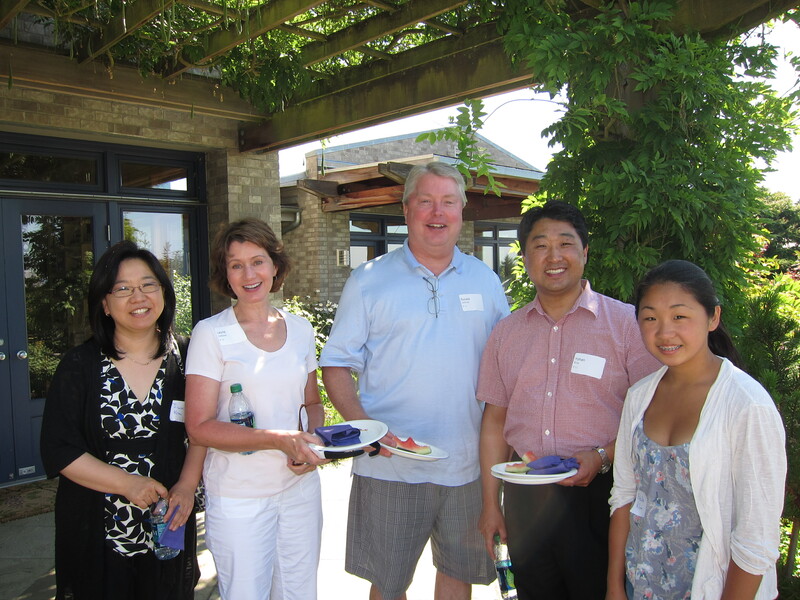 Two of the alumni were the parents of an incoming freshmen, and we had 1 Alumni Admission Council member and 1 Trustee. 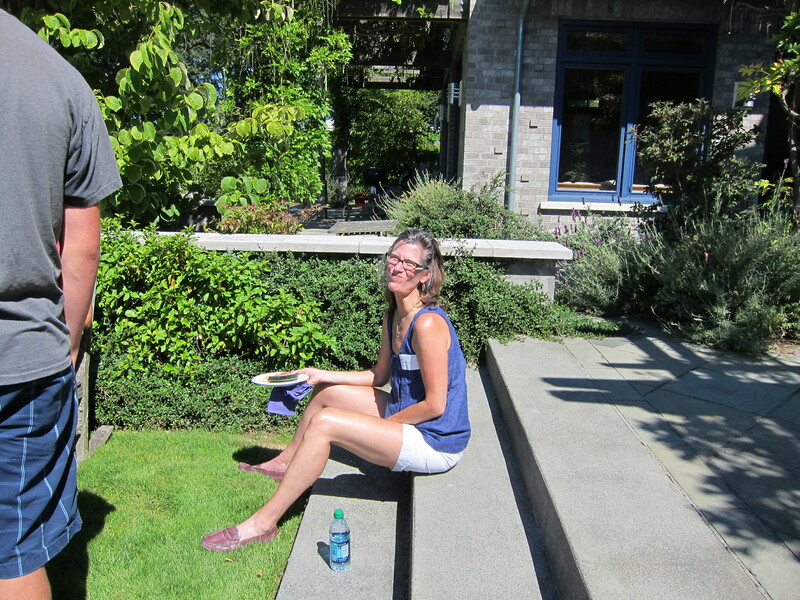 The morning started out clear and warmed up to a beautifully sunny 80F! 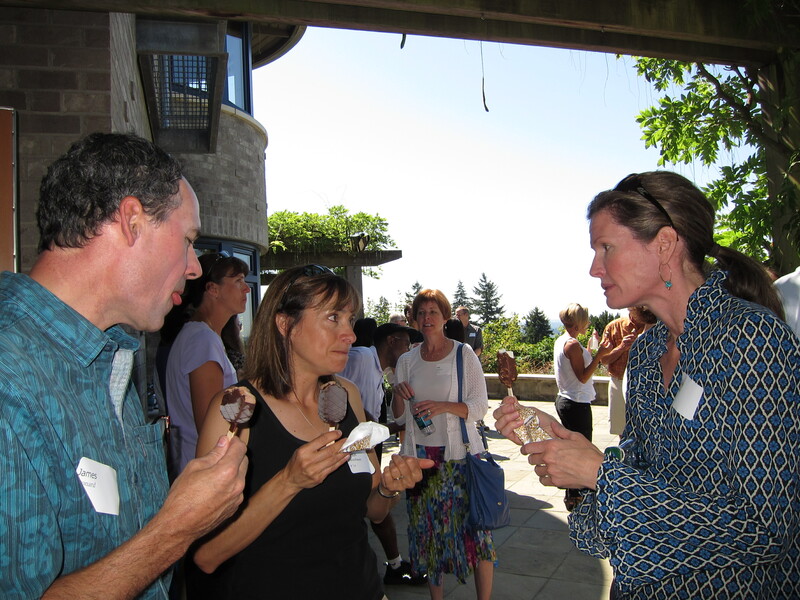 We enjoyed Ham and Cheese, Northwest Turkey, and Caprese sandwiches from Pacific Northwest Catering along with watermelon, potato chips, and two flavors of Häagen-Dazs ice cream bars: chocolate & dark chocolate and vanilla & almonds. 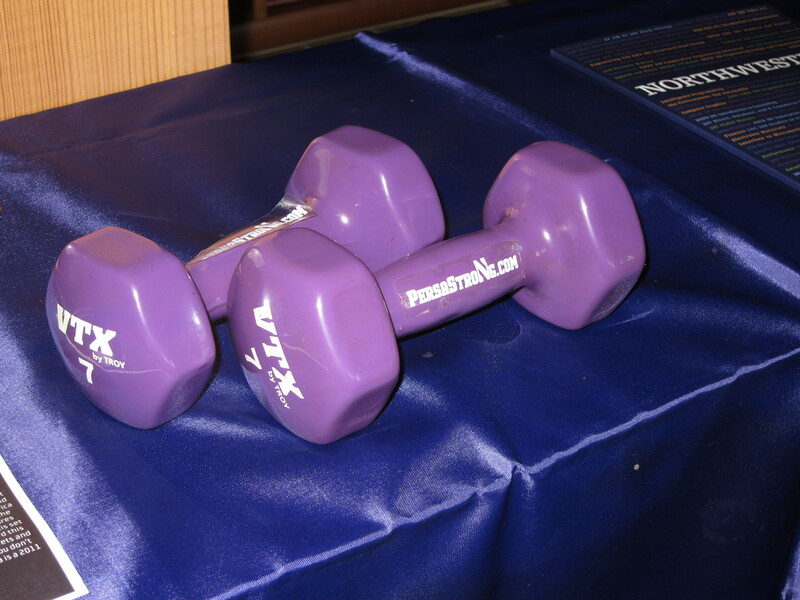 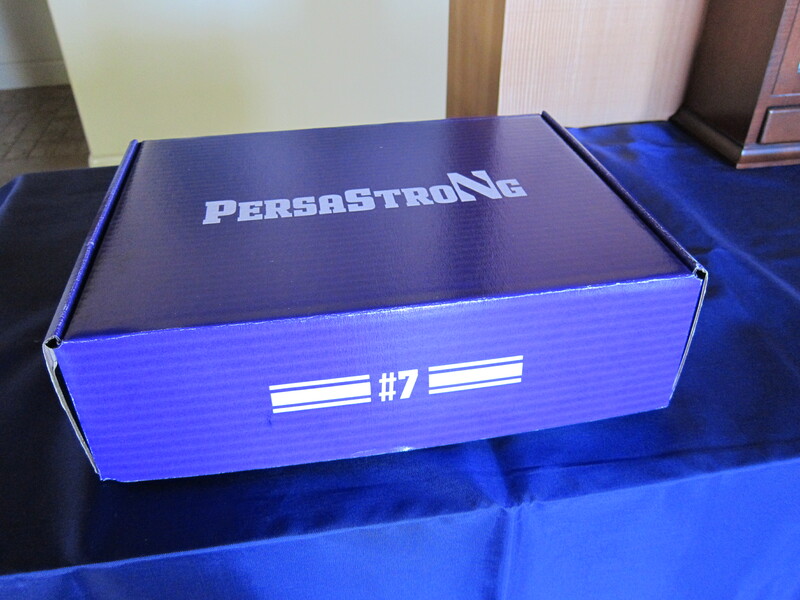 Ben gave a quick update on Northwestern University and showed off the PersaStrong weights from the media package sent out by the Athletic Department in support of redshirt senior quarterpack Dan Persa and his campaign for the Heisman Trophy. 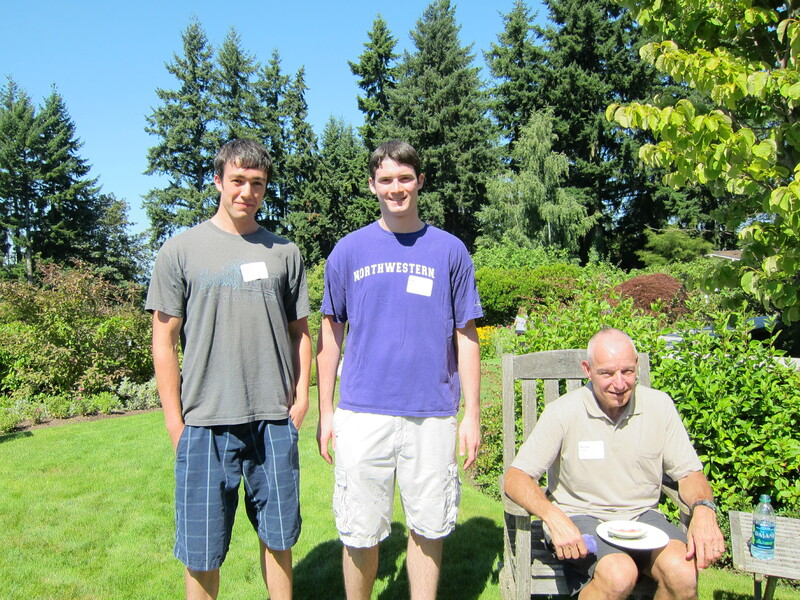 Last updated Saturday, August 20th, 2011.